Digital marketing has a few other names out there as well such as online marketing, marketing 2.0 and cybermarketing. Here, we are going to help you understand what digital marketing is and how it can help you accomplish your business goals. Digital marketing has the same objectives as traditional, or “offline”, marketing, but differs in that it takes advantage of both current technologies and the internet. It’s a system which allows advertisers to promote a product or service online by way of platforms and strategic tools, all of which are aligned with the company’s overall marketing strategy. Do you want to launch a digital marketing campaign but don’t know where to start? Have no fear! Here, we’re going to provide you with 4 essential components to keep in mind before your company invests in marketing. Although, if you are in the hands of a digital advertising agency, they will be the ones responsible for correctly advising you. This is how we do it in Cyberclick. Usability. The website or landing page which hosts your product/service should work incredibly efficiently. The page's usability should help ease the process of conversion and not the opposite; it should be very intuitive. If the abandonment rate skyrockets, it might be time to revisit your design and page usability. Template and graphic design. The idea of ‘shopping with your eyes’ plays directly into the world of design and style. We are a visual species and, therefore, the design of a website should be visually attractive as well. Additionally, that which is being sold should be clearly featured amidst the other components of the website. Try to make everything be clear, neat, direct and attractive (though not over-the-top). Try to make your consumer fall in love with you, your product and your site! Search engines: These platforms/websites are in charge of pulling all of the internet’s vast knowledge together and indexing and facilitating user searches. How can you integrate search engines into your digital marketing strategy? There are two ways: SEO and SEM. The former refers to the organic (or natural) positioning of your product's or service's webpage on search engines. The later ensures that you appear in the paid results section of a search; this content will also be labeled with a name such as “pay per click” (PPC) or “promoted ad”. Promotional actions. The internet offers exclusive channels just for digital marketing. Some of them are: Social Ads (e.g. Facebook Ads, Twitter Ads, Instagram Ads, or Linked Ads), branded content/content marketing (e.g. blogs, other online media outlets, etc…), email marketing, mobile apps and online advertising (e.g. banners). How to create a digital marketing plan? The environment. Do research on your market and make sure to study the competition before beginning your strategy. Audience. Make sure you know to whom you’ll be marketing. In doing this, you’ll able to clearly define your target audience and create the right segmentations so that the ads make a good impact. Goals and objectives. What do we want to get? With this question in mind, make sure to align your online goals with your company’s objectives. Strategy. Having a strategy gives us a comprehensive vision of everything we do; therefore, you must carry out your strategy with both creativity and a sound message so that it reaches far and wide. Sales. Figure out which steps make a user becomes a client, making sure to keep in mind the conversion funnel and the buyer journey. May the journey be easy and the conversions plentiful! Loyalty. Getting a new client isn’t easy but neither is retaining one you already have. Make sure to try and retain brand loyalty in the long run. Budget. 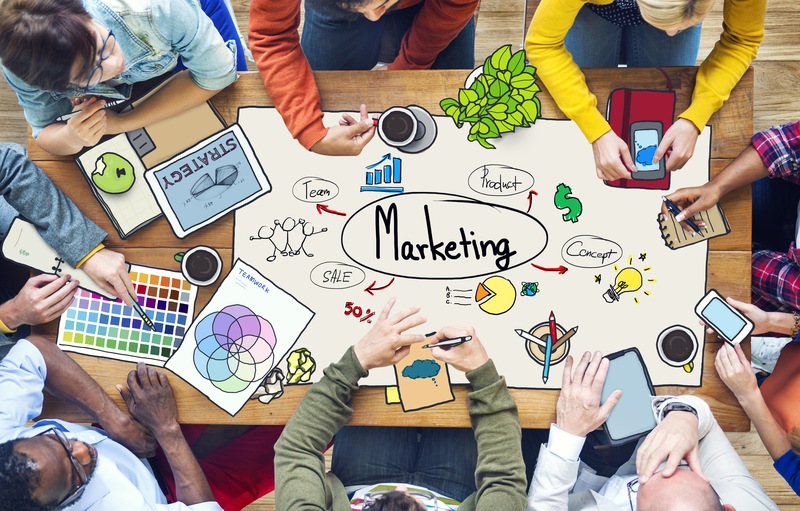 Divide up your budget into different marketing channels. This being said, make sure to always keep in mind where you will make the biggest impact on your audience. Technology. The online environment offers many tools. Use them and get the most out of your budget! We are entering into the Tech Marketing era and we must keep this in mind upon creating a digital marketing strategy. KPIs. Clearly define your metrics/key performance indicators (KPIs). In this way, you will be able to measure how your actions have evolved and, if any given variable doesn’t meet your expectations, modify it in real time. KPIs are all about fully optimizing a campaign every step of the way without substantial budget loss. Moreover, KPIs aim for the best possible return (with an adjusted cost). Conclusions. Metrics + results = the ability to draw conclusions. By following this equation you can constantly improve your marketing strategy. Having gone through all of the previous points, where do we go from here? Now, we’re going to touch on how to implement a digital marketing strategy. Of course, don’t forget to determine your goals, your audience segmentations and your proposed budget. Let’s see how we can carry out each of the following steps. If you already have a website or a landing page, Cyberclick can help you optimize and improve elements such as texts, images, forms, the way you highlight your product/service and the layout of the entire interface. Furthermore, we can help you improve your web design. In the case that an advertiser has not yet created a website, we can start from scratch by using our vast experience and knowledge. Of course, all of this would be done according to the advertiser’s needs and/or requirements. Assuming this website is where visitors will visit, and where we hope to also gain customers, request info or suggest an action, the website should be intuitive, attractive and easy to navigate. By following this structure set forth by the ‘rules’ of digital marketing, we can hope and expect to see conversions made. Here is where we start the digital marketing campaign; all of the ‘actions’ and channels have been well defined in addition to the allocated budget for each parameter. The moment in which ads are activated, traffic will begin to flow towards your website. By being specialized in traffic acquisition and performance marketing, we can ensure our clients achieve, at minimum, baseline results. When we design the texts of a landing page or of a website, we always do it with a mentality based in SEO; we highlight certain keywords so that a site is better positioned in organic searches. We do this in order to attract potential visitors who may be interested in our product or service. There is also SEM (promoted ads) which could also prove interesting to develop within your digital marketing strategy. It should also be mentioned that both Google and Yahoo can end up being crucial components for making sales in certain campaigns of certain sectors. Humans are social by nature and we love to be in contact with fellow members of mankind. This might sound a bit scientific and analytic but that’s how digital marketing is too; it’s based on measurable and studiable parameters. Since we love to socialize, it makes complete sense that, within the last decade, social medias have had incredible success. Yes, the majority of users are on Facebook, Twitter, Instagram or LinkedIn but, companies also should be connected via their dedicated business profiles, effectively taking advantage of one of digital marketing’s most powerful weapons: Social Ads. So, if you want to get the best results out of you digital marketing investment, make sure to follow all these steps. Also, if/when the time comes, don’t hesitate to ask us for help!